For women, this is an exciting fresh approach to carrying your essentials. YaYwallet is a fun, and flirty, easy way to carry your money. And it's just the right size to fit in your smallest purse or clutch, or simply in the palm of your hand when you're on-the-go. And finally for men! 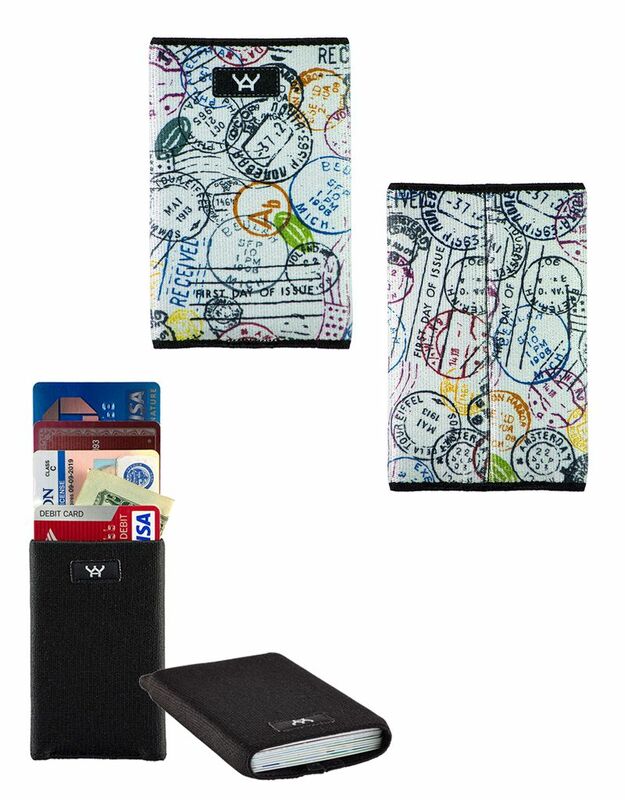 A wallet that doesn't add to your backside or gives you that lopsided feeling. It's the right size and fits comfortably in your front or back pocket. Features: SLIM. FUN. LIGHT. DURABLE. 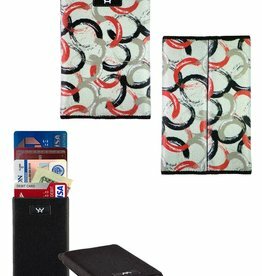 A fun concept of slim credit card holders that's functional, fashionable and designed for a variety of personalities. It's a great wallet for quick errands, work/utility, outdoor activities, party, traveling, shopping, or simply to store your membership or business cards together. Super strong custom constructed woven elastic with excellent stretch recovery. Securely holds up to 10 cards and some cash. Dimension: 3-5/8" H x 2-1/2" W x 1/8" D (a bit larger than a credit card) - Weight: 0.4 oz. Machine washable. Proudly Made in America.